Biryani: The most addictive food in the world | "Blogging by the Road not Taken"
Biryani is a rice and spice based dish commonly prepared with Chicken or Lamb in South Asia. Though everyone claims to be an expert in the preparation of this dish, logically only the richest man in the world or his family could have come up with something like this. The Hyderabadi Nizams, the rulers of the Indian Deccan, are to be credited for this dish. Mixing Mughalai and Irani cusine in the Nizam’s kitchen led to the most addictive food in the world. The Nizam of Hyderabad Osman Ali Khan became the richest man in the world in 1937. The family dish was of course meant to be lavish. The Hyderabadi Biryani was originally conceptualized to serve the hungry Nizam’s army that would return from patrols in the evening. Seeking to build an empire, the soldiers needed the best food to charge them up. The food is rich in meat, rice, dry fruits and flavor. It needs to fill you up. Hence, Basmati rice is usually used. This Indian rice dish is nothing like the Italian Risotto. It is dry with long Basmati rice grains. The perfect Biryani has uneven spice on the rice. This could be sorted out by mixing it on the plate. Hence, the perfect Biryani gives your the flexibility to adjust spice levels. Mixing earlier in the pot is done lightly to prevent breaking of the delicious long rice. Hyderabadi Biryani is a dish you definitely want to add in your list of the most addictive food around the world. Is Biryani an acquired taste? If you move to Hyderabad, you should quickly get addicted to Biryani. But tourists on a visit may not feel the same. Many reasons for this. Firstly, they are vegetarians. They eat veg Biryani and that is just not the same. It has to be a Chicken or Mutton based. The spice levels may need some adapting time. Try to sample all the different food available in Hyderabad on a visit and then try the Biryani at a good place. I would recommend Bawarchi and Paradise. For convenience of take away or eat in. In Bawarchi, try to go to the AC room. You hate carbs. This should be the number one reason. To be a Biryani lover you should be a Beer lover. Not a Wine, Cheese and Salad guy. You love wheat and bread too much. Rice is not filling for you. The Nizam definitely had something in store for your taste anyways. For everyone else, it is an addictive dish. While we Indians have a lot of variety, this best chicken and rice dish is very popular in Pakistan and Bangladesh too. I am sure even the Sri Lankans enjoy this. But having tried the dish around the world in different restaurants, I can proudly say that the Hyderabadi Biryani is the best. I remember trying some really good biryani at a high end restaurant called the Veda in New Delhi. They had an incredible white yogurt sauce. More creamier than the one we get in Hyderabad. The Hyderabadi side dish includes an onion and chillie spiced butter milk called raita with a chilli based sauce called Mirchi ka salan. The perfect Biryani eating experience includes eating much more than just the Biryani. A visit to the Nizams Club, introduced me to some genuine Hyderabadi Biryani eating experience. The side dishes and the desserts are all a treat. Hyderabad is a food paradise. You can sample food prepared with the most fresh herbs and spices. Biryani goes well with Pepsi. The spice and the sweetness negate each other very well. I remind you again, a Biryani eating experience can get very addictive so you need to take it easy. 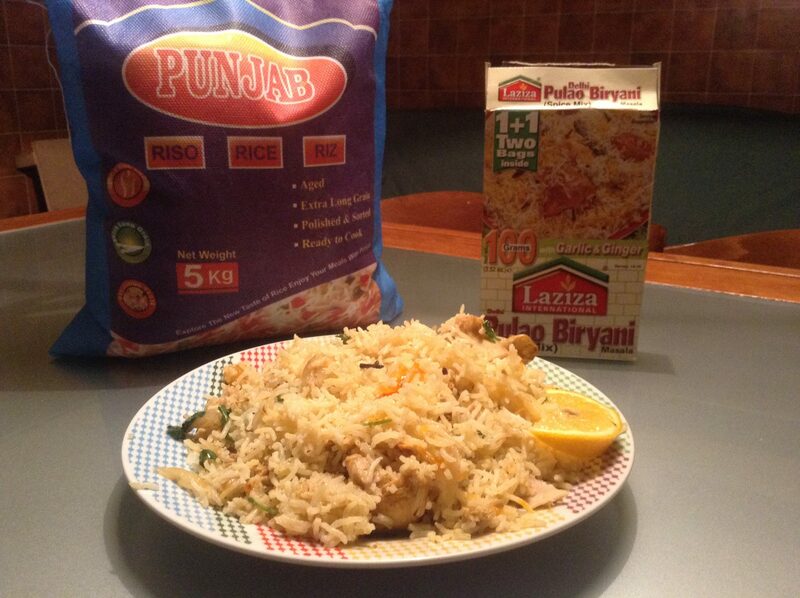 One week of simple vegetarian food and then you can unleash yourself with one packet of Biryani. Yes, one packet is always too much for one person. A sign of prosperity in Hyderabad. Find your way to the perfect Biryani and you will find yourself in the city of pearls. A city boasting Facebook, Microsoft, Google and Amazon offices. A city once ruled by the richest man in the world. Fortunately, all his wonderful assets accessible to the public now. A visit to the Salar Jung Museum should be in your list. There is a collection of stuff from all over the world. From weapons to ornaments and statues. If you love History, then you will enjoy a walk that will take you back in time. The Nizams had a huge collection of really impressive stuff. If you are prepared to spend a bit for a luxury, stay at the Falaknuma Palace in Hyderabad. Otherwise just go for a morning walk in Osmania University for free. The marvelous structures in the massive campus have been a part of my childhood. As I jogged by all alone in the mornings in the holiday season. The fresh air in the campus that greets is due to sound vision and planning back in the day. Hopefully, there is someone still there to improve and celebrate the heritage of the place built by the Nizam.